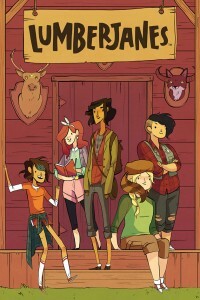 The Lumberjanes, written by Noelle Stevenson and Grace Ellis with art by Brooke Allen, hit comic book shops last week. 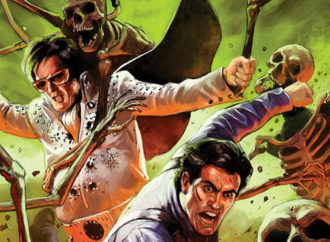 The title had a popular early debut at Emerald City Comic Con, with BOOM! 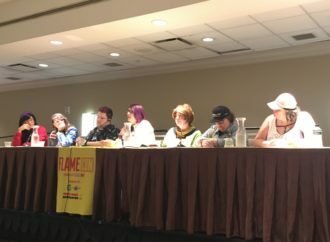 Studios reportedly selling out of the ECCC exclusive covers. 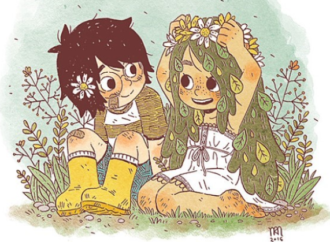 The official release of the inaugural issue was met with similar excitement, and I have to say, I was surprised to find a few issues on left the shelves of my local comic book shop after reading reports of the Lumberjanes selling out on various social media platforms. 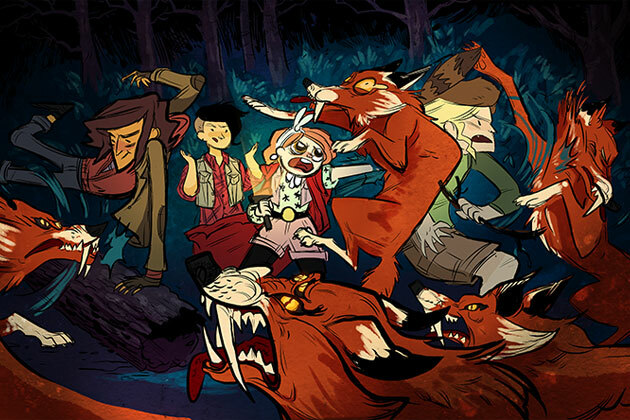 Lumberjanes, aptly described as Buffy the Vampire Slayer meets Gravity Falls, does not disappoint. 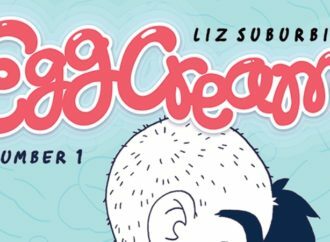 Issue one opens with a girl wandering alone in the woods in the dark. Startled by a deer darting through the trees, she drops her flashlight. In classic horror flick fashion, she and her friends frighten one another, screaming at the sight of each other after expecting some unseen evil. But instead of helpless horror film scream queens, these girls are quick on their feet, springing in to action after being surrounded by a pack of supernatural fox creatures. 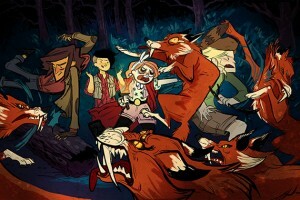 As the melee goes on, we get to know the Lumberjanes. April, the bookish belle. Ripley, the rambunctious baby of the bunch. Jo, the leader. Mal and Molly, well, I’m still waiting to see who Mal and Molly are, but they arguably have the best outfits. Ripley discovers that a swift punch to the third eye makes the foxes dissolve in a puff of smoke, leaving behind a mysterious golden ring reminiscent of Coraline’s hard taffy seeing stone. Defeated, the foxes howl at the moon, revealing a cryptic message shining in the stars from their third eyes: “Beware the kitten holy” (which April promptly records for future reference). With that, the girls return to camp, where they are found out by their camp counselor for breaking not seven, but EIGHT camp policies, and taken to the camp headmistress. Rosie the headmistress an eccentric woman with neck tattoos and cat-eye specs, carving some sort of chimera out of wood in the wee hours of the night. The girls explain to her that they began their eight camp policy-breaking escapades because they spied a woman transform into a bear outside of their cabin, and had to investigate. Rosie dismisses the girls’ camp counselor from her cabin, eager to hear more of their supernatural encounter. It’s clear that Rosie knows something her camp staff does not. 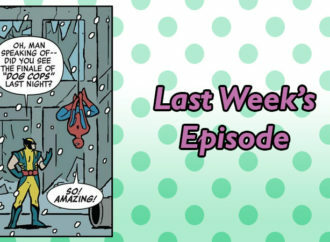 I was surprised by this, largely because other than a few Adventure Time-esque “what the junk!”s, the girls seemed almost entirely unfazed by the swarm of three-eyed foxes they encountered in the woods earlier. I thought that these supernatural occurrences were commonplace in the world Stevenson and Ellis have created, but if Rosie’s secrecy is any indicator, this is not the case. This feels like a bit of a plot hole, but it’s easy to overlook in the excitement of the Lumberjanes introduction. Rosie pauses, invoking the Lumberjanes pledge. This is where it becomes apparent that Jo is the leader of the pack, as she effortlessly espouses the pledge while the rest of the girls dutifully put their hands over their hearts. At this point, I feel like we have two Lumberjanes, one archetypal leader, and a pallet whetted for who the rest of the girls actually are. Satisfied, Rosie informs the girls that things are going to get weird, but as for just how weird things get, we’ll have to wait and see. 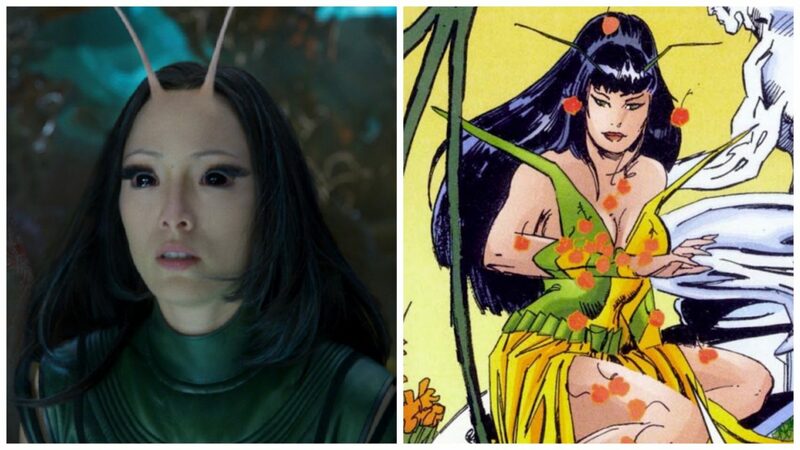 The art is sketchy and simple, but has such full-bodied personality. The loose, expressive style alludes to Stevenson’s style, and suits the playful tone of the title well. Though I am curious as to why April is the only character with eyes that aren’t small black slits. While all of the other characters sport Stevenson’s signature small, squinty black slits for eyes, April has big, round cartoony eyes. Somehow both are equally expressive, which is a credit to the artist (Allen developed the character concepts alongside Stevenson), but the decision leaves me curious nonetheless. 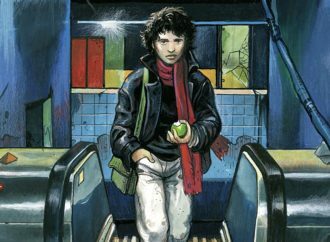 Between the art, the writing, and the characters, I very much enjoyed this book. 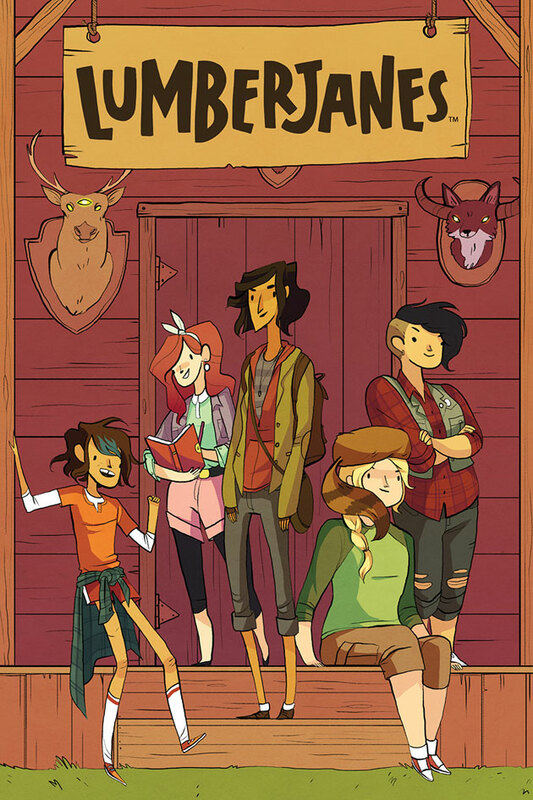 Lumberjanes is everything I ever dreamed summer camp would be, it’s everything I ever wanted Girl Scouts to be, and I can’t wait to get to know the Lumberjanes better.